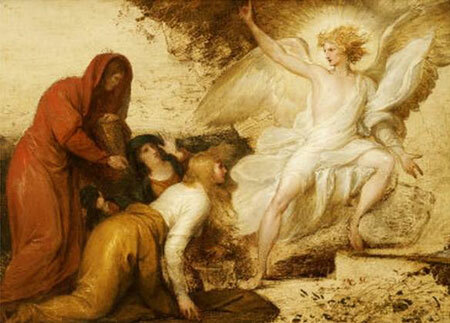 Blogger’s Note: At the Easter Vigil last night, the Resurrection account was from Matthew. The image of the angel appearing like lightning and sitting upon the stone struck me—and Lightning on the Stone seemed like a bluesy spiritual someone ought to try to write. So I did this morning. It’s not quite as raw or ragged as it might be if someone sang it over a blues riff…but I’m satisfied.